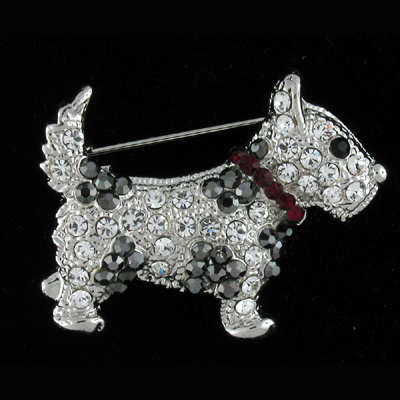 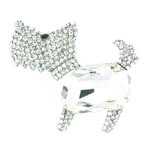 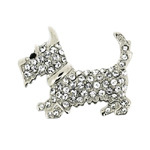 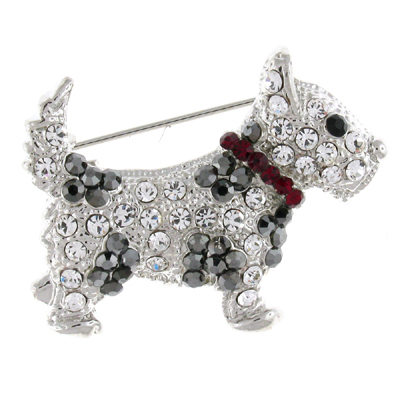 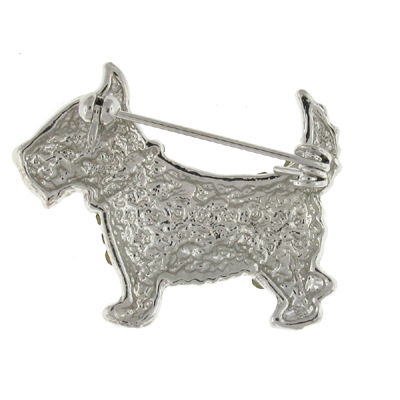 Scottie Dog with a red crystal collar brooch encrusted all over with clear and hematite crystals and a single jet black crystal for the eye on a silver coloured frame and fastens with a flag pin and revolver clasp. 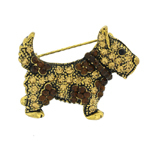 Size: 3.5 x 2.8 cms. 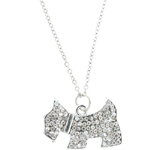 Stunning gift for animal lovers.